Salesforce Research recently surveyed more than 2,300 global sales leaders to discover their goals and challenges, and to find out how sales is evolving. 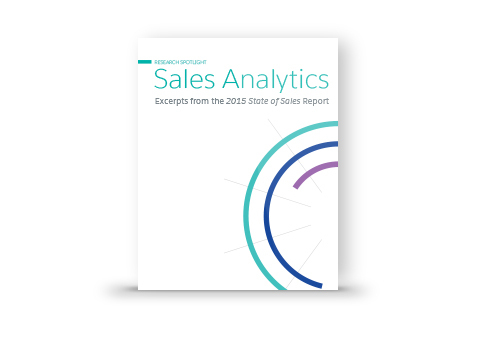 This spotlight excerpts a few results from the report — providing a quick takeaway of how analytics is transforming sales. Salesforce Research recently surveyed more than 2,300 global sales leaders to discover their goals and challenges, and find out how sales is evolving. This spotlight excerpts a few results from their report — providing a quick takeaway of how analytics is transforming sales.